Alison Vande Bunte, writer of Limbo, a short film directed by Krisstian de Lara, produced by Kn2s Productions, and filmed in Alicante, Spain, speaks about the process of writing the story and the lack of multi-dimensional female lead roles in films. Limbo tells the story of Susana, a woman who is on the verge of ending her marriage when she finds hope from a one day romance that reshapes her definition of love. Alison also goes into depth about was it like to watch Limbo on the big screen, and what loves means to the characters and personally her. To watch Limbo’s trailer, click here. 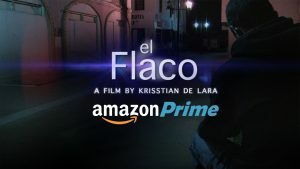 In addition, watch Krisstian de Lara, the director’s interview here.